Oct. 23, 2017….Hendersonville TN. As we welcome the end of fall and the chill of the holiday season, Newcomers Club will present the Annual Garlands & Glitter Fashion on November 3rd from 6pm to 10pm. Now in its 5th year as a HolidayFest Event, Garlands & Glitter will honor the youth of our county by being a benefit for Sumner Teen Center. The Sumner Teen Center mission is to help teens construct a path for success and form a positive worldview in a safe, secure and engaging environment and gain enhanced self-awareness and self-confidence along with critical life and soft skills needed to reach their maximum potential as responsible caring and productive adults. We will kick off the evening with shopping and then have a seated dinner with live entertainment by DOMINIQUE, a 16-year-old singer, songwriter who appeared on season 11 of America’s Got Talent. She writes and performs at local Nashville venues and has posted her singing on YouTube since age 7. Dominque was on the Maury Povich Show for the 2013 Most Talented Kids Episode and sang at Governor Haslam’s Veteran’s Day Event. “A junior at Merrol Hyde Magnet School here in Hendersonville, she loves to entertain and we are thrilled to have her here this year” said Newcomer President Cheryl Sherwood. Dillard’s of Rivergate will once again provide the beautiful fashions for over 22 Models and they also will host the annual shopping experience is the glass room of Bluegrass Yacht and Country Club where the event is held each year. After dinner and the great Fashion Show, the evening will be topped off with the performance of another talented teen, Bailey James. 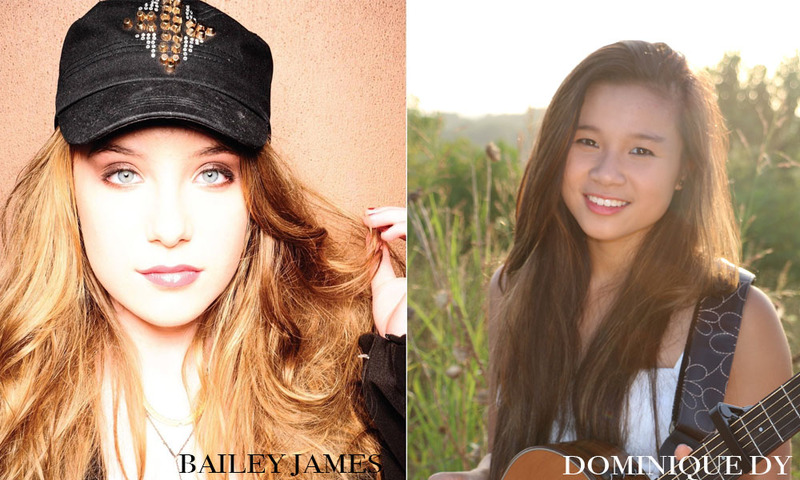 Bailey is a lively 14-year-old rising country artist and social media sensation who has performed at the legendary Bluebird Café and Wildhorse Saloon and multiple CMA Festivals. Bailey also has a current single on country radio called “Run Girl” which is climbing the charts.. She has followed in the footsteps of country music icons, Rascal Flatts and Charlie Daniels by joining The Jason Foundation as their first national teen ambassador. A local Hendersonvillian, she has a genuine love for music and helping others and it shines through her performances.